Location: 5 km/3 Miles ENE of St John's, 8 km/5 Miles NE of Jolly Harbour & 8 km/5 Miles N of English Harbour. Airport Overview: A single terminal building divided into departure and arrivals sides. Most of the airport prior to security is open air, and therefore hot and sticky. Taxis wait outside arrivals. Taxi prices are set by the government, but always check the fare first. There is a taxi desk outside arrivals, where tickets are issued, but you pay the driver on reaching your destination. You are likely to be made to share a taxi and receive no discount for doing so. Approximate Costs: Prices from the taxi desk: To St Johns US $11/EC $29/15-25 mins, Jolly Harbour/Jolly Beach Resort US $24/EC $64/25-30 mins. Pineapple Resort US $28/EC $74. Call (268) 562 0262. Regular Taxis: To St John's US$15-20(EC34)/15-25 mins. Taxi Companies: King Jango Taxi Service +1 (268) 462 7205 or 462 0061. Mobile Tel 464 5533. By Bus: No buses call at the airport, but some do travel up the airport road to within a mile or so of the terminal. From a Traveller Dec 2008: Buses run directly outside the airport on Airport Road and can be had for less than $3EC and the bus takes you to St. John's. I would not suggest this mode of transportation if you have a lot of baggage but it can be done. On-Airport Rental Car Providers: Several companies have offices at airport in a small room on the right immediately that you exit arrivals. It is usually insisted that you buy a local driving licence for US $20/EC $50 before being allowed to rent a car. The licence is valid for 3 months. Car rental companies include AVIS (268) 462 2840 or 2847, Oakland Rent a Car (268) 462 3021 or 409 5941 (beeper), Carter's Rent a Car (268) 463 0675 or 460 1354, Dion's, Budget, AJ's Car Rental 462 0576 or 772 2834, HERTZ 462 6450, Jonas Rent a Car 462 3760, Payne's Car Rental 460 9177, Stead's Rent a Car 460 3364 or 463 9970, Dollar 462 0123, St John's Car Rental 462 0594 or 461 0449 & Thrifty 462 9532 or 8803. EUROPCAR does not have a desk in the terminal, but can be contacted on 562 2708. Dep Tax: Payable by all passengers on departure, and not included in the ticket price. US $20/EC $50 for non nationals, and EC$ 35 for Antiguan nationals, payable in cash only. Notes: A 24hr ATM/cash machine accepting VISA, MasterCard & Cirrus is at the airport bank. There is a post office outside arrivals. Airport Tel No: +1 (268) 462 0358 or 460 9398. Location: 100m S of Codrington town. On Foot: Short walk to Codrington. By Taxi: Taxi to nearest good beach, US$15 each way/10 mins. Call Levi John on +1 (268) 773 7062 or 460 0581. Rental Cars: Jeeps available for rent. It is usually insisted that you buy a local driving licence before being allowed to rent a car. 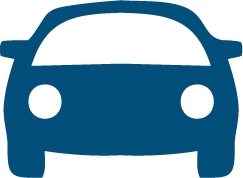 ◊Byron Askie has cars available for rent at ~US$50 daily. Tel +1 (268) 773 6082 or look for him at the Green Door Tavern in town.